Facebook advertising is an extremely helpful tool for businesses. 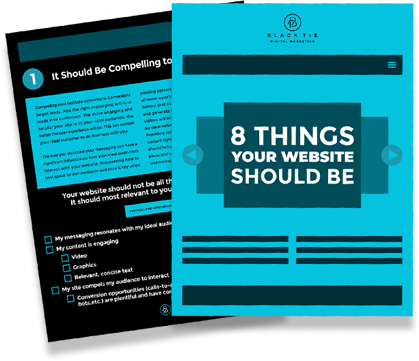 With billions of active users, it has the power to drive website traffic, spark conversions, and create a devoted customer base. Facebook is powerful and its influence is undeniable. Businesses wishing to take advantage of the reach often find themselves confused with little return. Making sure that you have clear goals and understanding where your advertising dollars are going is crucial to the success of any campaign but even more so when tapping into the most formidable social sharing platform in the world. Facebook was not created with the intention of connecting businesses to customers, it was created to connect people to one another. Once the power of social sharing became apparent Facebook jumped on the opportunity to monetize the platform and changed things for businesses. It began restricting reach and charging businesses to share content with their audience. With businesses flocking to the site to connect with their customers, charging for the privilege of being in the palm of their hands was to be expected. Facebook, like Google, makes it very hard to beat them at their own game. Like the saying goes, if you can’t beat ‘em, join ‘em. Facebook is an advertising juggernaut for many reasons. First and foremost is the pervasive use of the social network. This year, the 2.01 billion users will spend an average of 50 minutes on Facebook and Facebook-owned apps, including Instagram, Messenger, and WhatsApp. That’s a huge opportunity for advertisers to get in front of their target audience. Which leads us to the most impressive aspect of Facebook advertising: Targeting. Facebook collects an insurmountable amount of information on its users. Users freely give details about their age, birthday, relationship status, employment history and more. Add that to the information collected through user behaviors, such as viewing habits and engagement, Facebook can deliver your ads directly to people who are most likely to interact with, purchase from or contact your business. Once you have clear goals of what you want to achieve through a marketing campaign, Facebook has the ability to deliver your message directly to your target market while they’re comfortably scrolling through the content they’ve chosen to engage with. Getting started with advertising your page on Facebook can be a bit confusing because there are many ways to do so, and no clear guidelines for what will work best for your business. Business pages allow you to boost any post and they even suggest which posts to boost when they see high user engagement. It’s simple to make a Facebook ad and to target demographics but If you don’t understand the difference between boosted posts and ads, you may be spending money where it won’t do you any good. The distinction between the two is crucial, and how you go about creating ads or boosted posts can determine the success of any campaign. Boosting a post is like dipping your toe into the pool to test the water. The bottom left corner of every post is a little, blue “Boost” button. By pressing this button you are able to increase the visibility of that post by getting it into the newsfeeds of the people who like your page. When Facebook throttled the reach of business pages, they significantly reduced the organic influence of branded content. The reason is in the numbers. 4.75 billion pieces of content and 300 million photos are posted to Facebook each day, every minute there are 293,000 statuses updated, 136,000 photos uploaded, and 510,000 comments made. Without paid boosting, posts by your page would likely never be seen. In this sense, Facebook is acting as a dam – keeping the floodgates closed so users don’t drown in branded information. Boosting a post means that you pay Facebook to put your content in your audience’s newsfeed, letting your message through to the Facebook users you choose. Boosted posts are best used for promoting engagement within your established community. When you boost a post you can cast a wide net to people who like your page and their friends but you can also get more granular and choose other demographics like age, marital status, interests, etc. If you know the demographic you’d like to engage with, boosted posts are a great way to do it. The downside of boosted posts is that you are only targeting people and friends of people who already like your page. 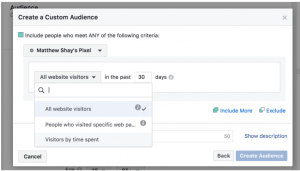 To grow beyond that limited audience, you’ll need to explore the Facebook Ads Manager. Publishing advertisements on Facebook can be fruitful when executed properly. Where boosts can be made directly from your business page and sent to your existing audience, a Facebook advertisement must be set up in the Ads Manager. This gives you the opportunity to create hyper-customized, ultra-targeted ads that will be viewed in the newsfeeds, right bar, and mobile devices of a potentially very large audience. This can exponentially increase your ad’s reach and allow you to successfully execute a number of measurable campaigns. These ads feature prominent “call to action” buttons that enable viewers to buy products right from Facebook, call your business, claim coupons, or go straight to your website depending on your priorities. The customization and detailed demographic targeting available through the Ads Manager provides the toolkit which pages and advertisers need to ensure their ads are served to users who are more likely to convert. That includes people who are already in your Facebook audience and people who are likely to be interested in your product based on other things they have shown interest in. If you are looking for instant, measurable results, Facebook ads would be a sizeable force to your marketing campaign. A boosted post’s full impact can change via custom audiences you designate for the boost. For example, if you boost a post and target a custom audience that consists of fans who engage with your page the most, that boost will ensure that many of the people who are most likely to engage with your post see it in their respective news feeds. You can see an example in the Custom Audience screenshot below. Custom audience example 2: Targeting recent visitors to your website. Custom audience example 2 shows your post to people who may not like, share or comment on many of your posts, yet visit your website regularly. 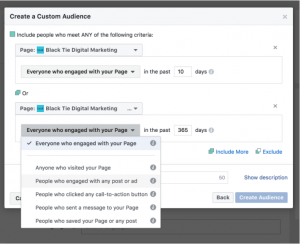 These are just two options for boosting posts that many Facebook page admins are unaware of when they go to boost a post. Choosing how to spend your advertising budget can be difficult. Knowing that Facebook advertising can provide you with impressive reach and highly targeted demographic information can make advertising with this social network seem a no-brainer. It’s important to create smart goals and educate yourself on the most effective way to achieve them. Whether you’re boosting posts to engage your followers, grow your audience, increase website traffic, or sell products, choosing the right Facebook advertising strategy can make a significant impact on your overall marketing strategy.